Republican politician who served Ohio's 11th and 12th districts as a member of the United States House of Representatives. After graduating from Marietta College, he became an Ironton, Ohio-based attorney. 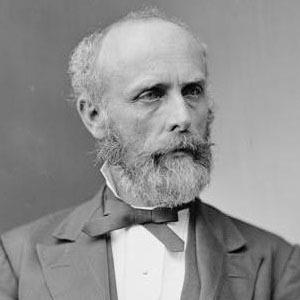 From 1884-1885, he held office as 20th Solicitor of the United States Treasury. He was born in Gallipolis, Ohio. He died in his home state at the age of seventy-seven. He was appointed U.S. Treasury Solicitor by President Chester A. Arthur.